In this March 5, 2018, file photo, Food and Drug Administration Commissioner Scott Gottlieb listens during an interview with The Associated Press in New York. Food and Drug Administration Commissioner Scott Gottlieb is stepping down after nearly two years leading the agency's response to a host of public health challenges, including the opioid epidemic, rising drug prices and underage vaping. 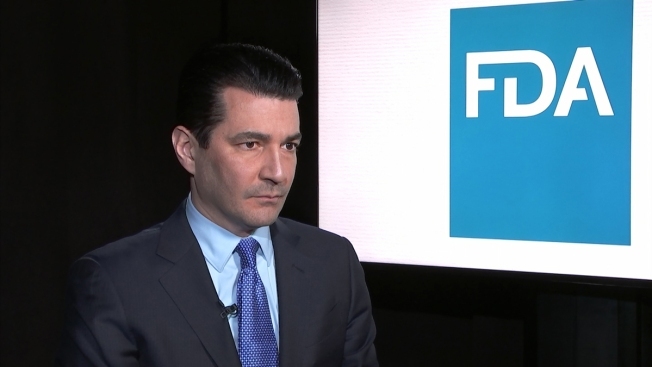 Gottlieb cited "the challenge of being apart from my family" in Connecticut when announcing his departure Tuesday in a note to FDA staff. He'll leave next month. President Donald Trump tapped Gottlieb in 2017 to "cut red tape" at the FDA. But Gottlieb bucked expectations by pushing the agency to expand its authorities in several key ways, including an unprecedented effort to make cigarettes less addictive by requiring lower nicotine levels . The 46-year-old physician and former conservative pundit advanced his agenda while managing to maintain the support of the president, Republicans and key Democrats in Congress. 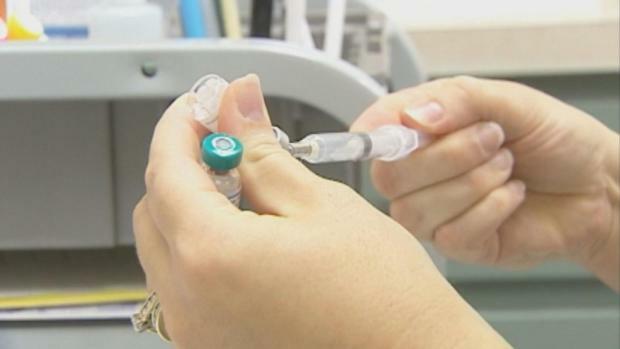 The Food and Drug Administration has approved a new combination vaccine called Vaxelis designed for children ages 6 weeks to 4 years old. 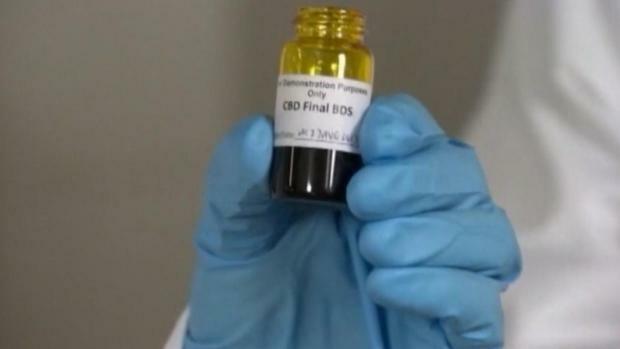 The FDA says it keeps them from contracting diphtheria, tetanus, pertussis, poliomyelitis, hepatitis B and invasive disease due to haemophilus influenzae type B. Still, he departs with his most sweeping plans unfinished, including the initiative to make cigarettes less addictive. "Scott deserves very strong credit for his stance on tobacco, I only wish he would have seen some of those efforts through to fruition," said Dr. David Kessler, who led the FDA from 1990 to 1997. "In the end you have to bring those things home." Harvard University professor Daniel Carpenter said Gottlieb benefited from comparisons with more unconventional, anti-regulatory Trump appointees. "He could govern from a place of moderation and get all the more credit because so many other agencies and positions under the Trump administration were either falling apart or vacant," said Carpenter, who has written extensively on the FDA. In recent months, Gottlieb has come under fire for not acting more forcefully to address an explosion in teenage use of electronic cigarettes, especially those with candy and fruit flavors. Under Gottlieb, the FDA has emphasized vaping as a potential tool to wean adult smokers off traditional cigarettes. And in a widely criticized move, Gottlieb delayed key regulations on vaping devices until 2022, in part, to avoid over-regulating the industry. Anti-smoking groups are now suing the agency to begin reviewing all e-cigarettes. While the FDA has proposed steps to keep e-cigarettes away from teenagers, including tightening restrictions on convenience store sales, it's unclear whether they will be enough to reverse the trend. 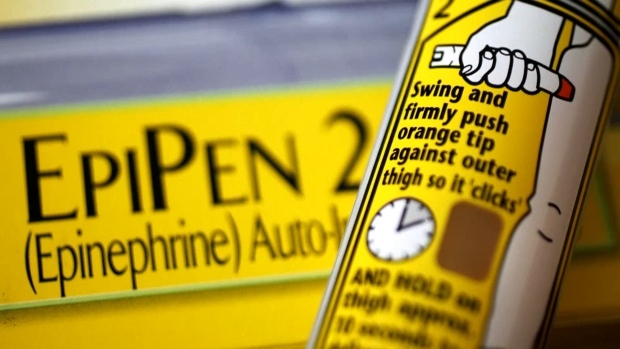 The Food and Drug Administration says there is a shortage of EpiPen auto injectors, which are used to treat severe allergic reactions. The pushback against FDA's approach to vaping threatens to overshadow what is by far Gottlieb's most far-reaching plan. Gottlieb announced in July 2017 the FDA would seek to require tobacco companies to drastically cut nicotine in cigarettes, in a bid to help adult smokers quit. The agency has had the authority to regulate nicotine levels since 2009, though no previous FDA commissioner tried to use it. The agency is still in the early stages of writing regulations that would standardize nicotine in cigarettes. Dr. Peter Lurie, a former senior FDA official under President Barack Obama, said Gottlieb embraced the agency's regulatory powers where other Trump appointees tried to weaken their agencies. "He tried to use its authority in an appropriate fashion," Lurie said, noting the FDA's recent announcements on dietary supplements and work to continue food inspections during the government shutdown. Elsewhere, Gottlieb targeted drug industry tactics used to maintain sky-high prices on older drugs, calling them "shenanigans" and "deceptions." For decades, FDA commissioners steered clear of the issue, noting that the FDA has no direct role in regulating U.S. medicine prices, which are set by drugmakers. But Gottlieb said the agency could help spur competition and reshuffled its review procedures to speed up approvals of lower-cost generic drugs. Early in his tenure, Gottlieb identified the epidemic of opioid abuse and overdoses as the "biggest crisis facing the nation." But there have been few clear victories against the problem for either the FDA or the Trump administration. Drug overdose deaths hit their highest level on record in 2017 — the most recent year for which federal data is available. Fatal overdoses are largely driven by illegal opioids including fentanyl and heroin, though the epidemic was trigged by legal prescription painkillers like OxyContin. As FDA Commissioner, Gottlieb boosted the agency's inspectors at U.S. mail facilities to try and intercept illegal opioid shipments from China and other nations. It's not yet clear whether that effort has reduced drug abuse or overdose rates. Trump tweeted that Gottlieb "has done an absolutely terrific job," adding "he and his talents will be greatly missed." On FDA's more day-to-day responsibilities, Gottlieb continued a multi-decade, bipartisan shift toward faster, more streamlined product reviews for drugs and medical devices. That issue has long been the top priority for the powerful pharmaceutical and device industries, which spend millions lobbying Congress and the federal government annually to ensure speedy market access for their products. FDA approvals for first-of-a-kind drugs, generic drugs and medical devices hit all-time highs last year. Gottlieb has long been a favorite of the industry, due to his focus on cutting unnecessary regulations and speeding product approvals. He served in the FDA under George W. Bush and then spent nearly a decade as a conservative commentator at the American Enterprise Institute, while also working as a venture capitalist and industry consultant.